Slim down on the Go! Le’Vive Slim is a healthy option for those looking to stay slim, but are always on the go! Just add the contents of each package to a bottle of water. Le’Vive Slim contains Garcinia cambogia and Maca, which may support weight control and added energy, along with the powerful blend of antioxidant juices. 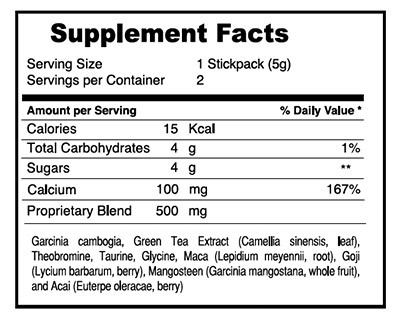 Add 1 package (13g) of Le’Vive Slim in a 8oz of cold water and shake fast.